I’ve written before about the impact funding inequity is having on political discourse about government support of the arts. The Visible Hand was a response to Barry Hessenius’ observations about funding controversies in San Francisco three years ago: A Potential Deep Divide in the Arts Sector. A colleague recently sent me the link to an article about a bill that has been introduced in the Pennsylvania legislature to examine “systemic racism in public arts funding.” If passed it would consider the state’s arts funding formula that “[privileges] white, large budget, older arts organizations.” The fact that in many places more than the lion’s share of public arts funding goes to organizations focused on the cultural tradition of upper class European whites is a center that will not hold. I have long advocated for community engagement because it is good for the arts, good for organizations, and the right thing to do. Now, the argument of self-preservation, while clearly not the noblest of motivations, is unveiling itself as an increasingly urgent existential concern. The demographic trends in this country are not going to reverse themselves. The percentage of the population for whom European aristocratic culture is familiar will only continue to decrease. Rightly, communities will want their own cultures supported by public policy and will be disinclined to see their tax dollars spent disproportionately supporting what is to them a foreign culture. Large urban areas with diverse populations and not insignificant public arts funding have been and will be the areas first affected by these concerns. 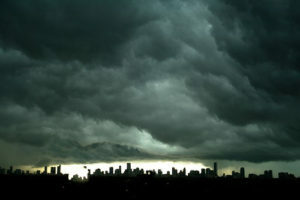 But the storm is brewing and will spread across the country. Community engagement, when properly understood and implemented, is about building relationships, mutually beneficial relationships. As such it is an invaluable tool for addressing the need to become valuable to many more segments of the population. However, relationship building cannot happen without trust and the profound inequities in arts funding are a nearly insurmountable obstacle to building trust. This is an issue we cannot ignore. In May I was invited to speak at a convening of the Irvine Foundation’s New California Arts Fund grantees. Each of the cohort’s 14 arts organizations really gets engagement and is extremely active living out the work of connecting with communities. There were many, many wonderful stories of effective community engagement. However, one in particular made a deep impression upon me. One part of the impression was the power of an example that demonstrates that not only does engagement not need to be a budget drain but that it also provides the possibility of bringing more revenue to an organization. The other part was the up-to-the-minute timeliness of the story. Even later breaking news: the project has been approved unanimously by the Riverside City Council–http://www.pe.com/2017/05/17/riverside-council-approves-cheech-marins-chicano-art-center-downtown/ Mr. Marin and the Museum will now have a year to raise about half of the $5-$7 Million cost of upfitting the old library for its new use. Community engagement can be a path to new and otherwise unavailable sources of funding and support. The NEA, along with the NEH, the IMLS, the CPB, etc., etc., is very important for both symbolic and practical reasons. And I know that my professional niche is the nonprofit arts and culture industry. With respect to “Engaging Matters” I have seldom written about issues not directly related to the practice of community engagement, but the fight over funding cultural support mechanisms is vitally important to our industry so I know I should be weighing in even though others with far better advocacy chops than I have already done yeoman’s work providing us with arguments and data. Then, bless him, my colleague Michael Rohd, director of the Center for Performance and Civic Practice and Artistic Director of Sojourn Theatre provided (in a Facebook post–I can’t figure out how to provide a link to it) a framework for how I think we should be approaching this horrendous state of affairs. The other thing that concerns me is that, in general, attacks on public funding of the arts are not about money or the arts. They are often, as was the case with Mapplethorpe/Serrano in the late 1980’s/early 1990’s means for politicians to distract people from bigger issues. In my state Jesse Helms rode the NEA beast to re-election. I suspect that this administration’s mastery of deflection is a not-inconsiderable factor in the proposed budget. My ventures into public policy discussion have primarily been about what might be called secondary advocacy: eliciting support by doing more things that large numbers of the electorate see as valuable. In other words, we should pursue community engagement work that will translate into increased support for the arts. The fact that the proposed spending budget was constructed in such a way as to eliminate funding for culture demonstrates that its creators believe the public will to support it is not there. Much has happened since the last major culture wars battles in the early 1990’s. There has been more public funding in more diverse and widespread regions than had been true up to that time. I suspect that there will be more grassroots support this time around. If the body politic still does not rally in significant ways in support of the funding of culture it will be clear that we all still have much work to do in pursuit of impact and relevance. In the 2016 fiscal year [New York City] libraries received $360 million for operating costs, $33 million more than the year before — the largest increase in recent times. For the 2017 fiscal year, which began on Friday, city financing for the libraries increased slightly to $365 million. But in a more significant victory, city leaders agreed to preserve past increases in future budgets, the difference, say, between getting a one-year bonus or a permanent raise. No longer just repositories for books, public libraries have reinvented themselves as one-stop community centers . . . . [They] are reaffirming their role as an essential part of civic life in America by making themselves indispensable to new generations of patrons. [They] are redefining their mission at a time when access to technology, and the ability to use it, is said to deepen class stratification, leaving many poor and disadvantaged communities behind. A library in Prospect Heights, Brooklyn, runs a fully equipped recording studio that can be reserved at no cost; many libraries in the borough lend laptops and portable wireless devices to those without internet access at home. In Queens, which has a large South Asian population, a library in Jamaica offers sewing classes in Bengali for Bangladeshi women, some of whom now earn a living as seamstresses. Libraries in Flushing and South Jamaica teach social media skills to small-business owners. The result was that over the last two years, through a highly coordinated advocacy program, more than 250,000 people have signed on to a letter campaign in support of the libraries. (Many other elements were included as well.) However, a quarter of a million people do not write letters on a whim. They do so because they have seen that the libraries are vitally important to them. Public support follows demonstrations of relevance. The advocacy must be intentional but it will not be successful if there is not meat on the bones. As I have said almost ad nauseam, the key to indispensability is being indispensable. His question stuck with me, as it gets to the crux of our agency’s approach to grantmaking and why we think we, as public funders, have the responsibility to address topics of public value and community engagement. Our agency, Cuyahoga Arts & Culture, is the public agency established to invest dedicated public funds in arts and cultural activities that help inspire and strengthen our community, which includes the City of Cleveland and its surrounding 58 suburbs. We annually invest over $15 million in grants to over 200 organizations every year, organizations large and small doing work all across a broad cultural spectrum. We are primarily a grantmaking institution, and all grants from CAC have to conform to three basic criteria: partner organizations (we don’t call them grantees) need to demonstrate strong commitment to providing value to the public, to engaging qualified arts and cultural professionals to do their work, and to building and maintaining the organizational capacity necessary to carry out their plans. Note that first criteria: providing value to the public. Why do we care about engaging the public with arts and culture? Actually, it’s pretty simple. We operate with the public’s money. And so we care about how the public gets to benefit from its investment. But if your ballet company accepts public money – then, no. You can’t just do what you want. You must accept the responsibility that comes with taking public funds and aim to engage the public that provides the funds. Public funds are different, and that’s why the questions that we ask and the criteria against which we judge grant applications are different, too. We want organizations to think about the relationship that they have with the community because they are beneficiaries of community resources. We infuse this community engagement spirit throughout all of our grantmaking because we believe that true community engagement is about building a long-term relationship with your community. Like development/fundraising work, this is relationship-based work not limited to the kinds of terrific community programs that organizations take on every day. Engagement requires a relationship, which takes time to nurture and mature. Recently, our approach was put to the test, as voters in our County were asked to reauthorize our tax levy for another ten years. I am pleased to report that we were successful, and you can read more about our efforts here. We believe that our approach helped to create the conditions that made such a resounding success possible. By supporting a diverse group of organizations working throughout the County – by encouraging those organizations to connect with their communities in meaningful ways – by building relationships with stakeholders in each of our County’s 59 communities – by collecting and disseminating good data about the arts and cultural sector – and by continually living our values around transparency, accountability, and stewardship of public resources, we delivered on the promises made in the last campaign and gave the public confidence that this is a good public investment, an investment that touches the lives of all County residents. So where do we go from here? With another ten years in front of us, we are planning for our future by looking for answers to this question: how can CAC best support the cultural life of our County’s residents, both today and in the future? We have two important stakeholder groups: the organizations that receive grants from us, and the residents of our community. We are embarking on a comprehensive – and ambitious – community listening project designed to allow us to engage both of those stakeholder groups. We need to listen and engage the same way that we are asking cultural organizations to listen and engage, and we are eager to hear from our community and imagine new possibilities informed by their input. Engagement like this is long, slow work. It will also become more of our day-to-day work once this initial burst of listening and learning is complete. But, just as for our cultural partners, we know that our work will be enhanced and improved by what we hear, and we look forward to sharing our learning with the greater community in the coming months. Karen Gahl-Mills is the CEO + executive director of Cuyahoga Arts & Culture, the local public funder of arts and culture activities in Cleveland, Ohio. Since 2007, CAC has invested more than $140 million into over 300 organizations who serve millions of area residents. 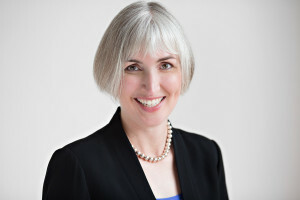 A former orchestra manager turned grantmaker and teacher, she has worked passionately throughout her 25-year career to connect the talents of arts and culture organizations with the needs of the community. She holds a Bachelor of Music degree from DePaul University and an MBA from the University of Chicago Booth School of Business; and she still makes music, singing regularly in the community choir at Oberlin College.